Much has already been written about the lack of respect shown by scantily-clad backpackers oblivious to the fact that ancient sites such as Angkor Wat are still places of worship. But sadly, wearing hot pants and halter-neck tops to working temples is not where embarrassing traveller behaviour ends, and inappropriate behaviour can have consequences more unwelcome than just the odd disapproving look from embarrassed locals. Inappropriate behaviour — and clothing — can be the cause of more than just quizzical looks. Many innocent faux-pas simply go hand-in-hand with experiencing an alien culture for the first time. Screaming at drivers who continually pull out in front of you as you struggle to control your rickety push-bike seems only natural on Siem Reap’s mean streets but is a definite no-no; buying baby milk for beggars because it is preferable to giving them money is also never the uncomplicated act of kindness it might initially seem. But these errors of judgement are eminently forgivable compared to some of the horrors that you can witness in Siem Reap on a daily basis, all hiding behind that most popular of traveller pastimes — getting the best possible deal. But driving too hard a bargain can result in the type of behaviour that simply annoys fellow travellers, mortifies the locals and begs the question: Would you do that at home? And if not, why is it okay in Cambodia? To witness such displays of humiliating bargain-hunting you only need to spend an evening people-watching in any of Pub Street’s bars or restaurants. Here you will see penny-pinching customers take their seats, order a meal and proceed to produce their own drinks from their backpacks. 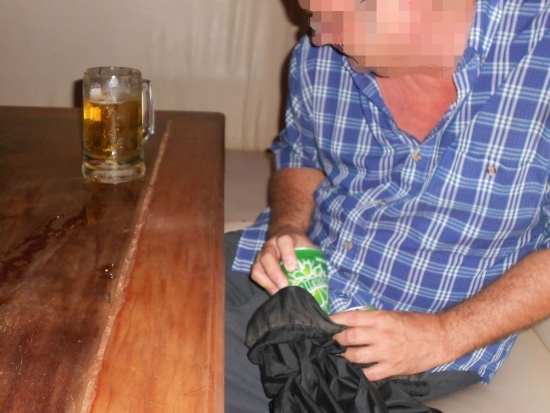 Particularly brazen offenders will even walk in openly swigging from cans of Angkor lager. The usual excuse is that their favourite brand — often dictated by price — is not on sale in that particular establishment. Would you use the same logic to justify taking a few bottles of your favourite ale into chi-chi French wine bar? Taking your own drinks into a bar won’t endear you to the owners. Other budget-obsessed travellers will order the cheapest drinks on the menu, and then openly produce their own food. Some will scan the menu, order drinks, and when they fail to find food that takes their fancy – or meets their budget – send out a designated hunter-gatherer to seek suitably priced snacks elsewhere. Sticking to a tight budget has always had a tendency to bring out the very worst in some people: hostel bores who have always got a better deal than you have; petty thieves who think nothing of stealing your clearly labelled food from the communal fridge. We have all seen those annoying travellers who take root in a bar or restaurant with free WiFi, order one small bottle of mineral water and sit for hours loudly Skyping their friends back home — okay if the place is empty perhaps but strictly not okay when an orderly queue of people is forming, waiting for a table at which to dine in a packed restaurant. Equally aggravating are those wheeler-dealers who haggle with restaurant staff over menu prices in the hope of saving the odd 50 cents. So, for the naive, here’s a quick lesson in economics: A street stall has low overheads which means you can buy a beer for a song, but also means you will have nothing more than plastic chairs to sit on, dogs and cockerels for company and the sound of a nearby wedding to serenade you. A restaurant on Pub Street has higher overheads so you are unlikely to persuade the owners to charge less than the price on the menu, no matter how loudly you try to convince them that you will to stay all night if he drops his prices. In fact, the promise of your company all night is more than likely to convince him to put his prices up. And although ordering off-menu, and asking the price after your order has been placed in front of you might well put you in a strong negotiating position, it will also virtually guarantee that you will not be welcome again. If, however, you do find yourself allowed to return, don’t forget that upsetting the people who are preparing your food can sometimes result in punishments even more unpalatable than a dollop of bad karma. 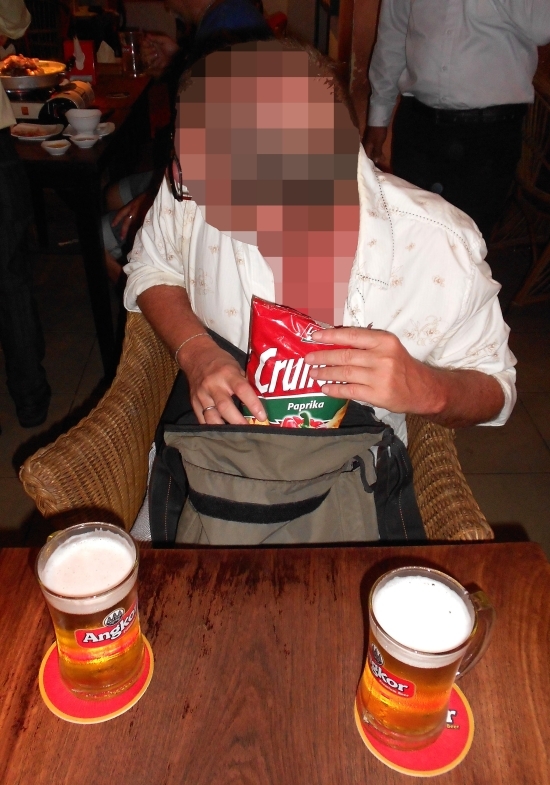 It is the Khmer businesses, and not the worldly-wise expat bar and restaurant owners, who most often fall victim to this type of bad tourist behaviour. Khmers are generally too polite to make a scene, and public admonishment of customers is culturally unacceptable. Celebrity chef-style ranting has thankfully not reached Siem Reap yet. A well-travelled British tourist visiting Siem Reap recently told me that she thought Pub Street was already indistinguishable from San Antonio or Phuket. I disagree, but the more visitors try to take advantage of the friendly people of Siem Reap, the more they will get back what they deserve. Responsible behaviour will help to preserve the characteristics of Siem Reap that have made it so popular in the first place. And might prevent you finding more than you bargained for in your Cambodian curry.